Great article for a great masterpiece both of study and live of this wonderful project called Preservation Act. It's always a pleasure to find an insightful article about The Kinks and especially about "Preservation". Although with the new revisions he is improving his ratings from bad to huge work. Preservation stands for itself gaining momentum! 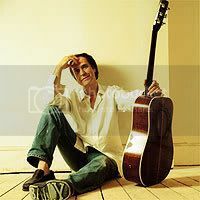 Great article on Ray Davies' most ambitious project. It is in Spanish and for those interested you can translate it into English. For a server was the ultimate masterpiece of Ray Davies. Sleepwalker and Misfits were close to being masterpieces. They are also indispensable albums. There is a great Kinks community in Spain. True HollyH !!! But unfortunately very dispersed. Kinkdom is everywhere. So is Preservation. Other current revisions fit the "hidden" masterpiece of Ray Davies' most ambitious work.